I am talking today with H.E Ambassador Jorge Castro-Valle Kuehne who is the Ambassador of Mexico to the Swiss Confederation. 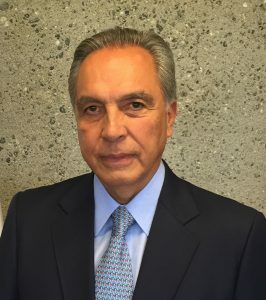 LBN: Ambassador Jorge Castro-Valle Kuehne, in your positon as Ambassador of Mexico in Switzerland, and regarding the bilateral relationships between both countries. What have been the priorities that you have identified and/or implemented during the last three years since your arrival in Switzerland? Let me start by thanking the LATAM BUSINESS NETWORK for this opportunity to address your readers. For Mexico, the relationship with Switzerland is very important albeit one whose potential has not been fully realized yet. And that is precisely what I consider as our main goal: to create greater awareness and to take full advantage of the many opportunities that both countries have to offer each other as bilateral partners and global actors. From the very outset, the priorities of my diplomatic mission have been the strengthening of political relations through high-level dialogue and regular institutional consultations on bilateral, regional and multilateral issues; promoting trade, investment and tourism; fostering cooperation in education and scientific research as well as academic exchanges; highlighting Mexico´s rich and diverse cultural heritage; and, last but not least, keeping close contact with and providing services and assistance to the Mexican community living in this beautiful country. LBN: Mexico is about to conclude the celebrations for the 70 anniversary of the bilateral relationship with Switzerland. This commemoration has been surrounded with several activities. What was the aim of these activities? Are there any palpable results? Our anniversary celebration was launched in 2015 with the official visit of Foreign Minister Didier Burkhalter to Mexico and the signing of a Joint Declaration reaffirming the friendship between both countries and setting goals for the future in order to deepen our partnership. As was stated in that document, the anniversary was also meant to provide us with a splendid platform to showcase the value and richness of our cultural heritage, to contribute to a better understanding of each other and to bring our societies closer together. The Mexican commemorative program in Switzerland has included a wide variety of activities in several cantons, ranging from contemporary art and sculpture exhibitions; concerts by talented Mexican musicians and singers; movies and documentaries shown at some of the most prestigious film festivals; the participation of Mexico as guest of honor in such popular fairs as Comptoir Suisse in Lausanne and Züspa in Zürich; tourism promotion seminars and a Mexican stand at FESPO, Switzerland´s largest travel fair; business promotion seminars; and, memorably, also gastronomical events showcasing Mexico´s authentic World Heritage cuisine. Our anniversary celebration will culminate with the State visit of Federal President Johann Schneider-Ammann to Mexico on November 3-4. Our aim has been – and I am confident that we have been able to advance it – to offer the Swiss public a balanced view of Mexico as a vibrant and creative nation that is proud of its millenary cultural legacy; as a fascinating and diverse country, with its contrasts and contradictions; and as a state that, in spite of the complex and daunting challenges that it faces and openly acknowledges, is working hard to tackle them in order to achieve the more secure, inclusive and prosperous future that its society demands and its new generations deserve. LBN: During the foreseen visit of the Swiss President Johann Schneider-Ammann to Mexico City, what are the main objectives of this official visit? Which are the main topics to be discussed in the Agenda? Could you mention to us some examples of the cooperation projects enforced or planned between Mexico and Switzerland? The upcoming State visit is the first of a Swiss president after more than 12 years. Its main objective is to consolidate all the progress that we have made in strengthening the relationship between Mexico and Switzerland as committed partners and global actors. The Agenda of the visit covers a wide range of issues. Federal Councillor Schneider-Ammann being responsible for the economy and education, these areas will be specially highlighted during his activities in my country. Among other topics, the two presidents will cover the modernization of Mexico´s free trade agreement with the EFTA countries, among which Switzerland is by far our most important commercial and investment partner. 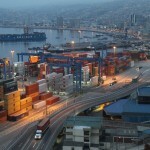 To further promote economic links, the establishment of a new Swiss chamber of commerce and industry will be announced. Another field of great interest will be education, particularly cooperation on technical and professional training, where a letter of intent will be signed, and a Swiss-Mexican alliance on dual education will be launched. Furthermore, a new air services agreement is also envisaged which will undoubtedly foster trade as well as business and tourism travel, together with the renewal of direct flights between Zurich and Cancún starting in the spring of 2017. Other important topics for discussion will be the new cooperation project on business and human rights for the preparation of Mexico´s National Action Plan on this relevant issue; the implementation of our trilateral cooperation project on risk management with Central America; and Switzerland´s participation as an active observer country in the Pacific Alliance with initiatives in dual education and innovation. LBN: Switzerland is one of the top ten foreign investors in Mexico, could you mention to us which sectors are the most attractive for Swiss investors? In these last years, Mexico has been experiencing profound transformations with the implementation of a series of structural reforms in different sectors such as education, labor, energy, infrastructure and telecommunications, to name but a few of the most relevant for the economic and social progress of our nation. In this endeavor, Mexico welcomes foreign investment and encourages companies from all over the world to take advantage of the many opportunities that these changes have to offer. In the case of Switzerland, we value the long-standing presence in our country of global companies such as Nestlé, Novartis, Roche or LafargeHolcim, but we would also like to encourage the increasing participation of small and medium-sized enterprises in areas where Swiss technology and innovation excel world-wide such as auto parts, aerospace, electronics, energy and infrastructure. To that end, ProMéxico – the Mexican government´s trade and investment agency – opened a special office for Switzerland in 2014 and has organized exploratory commercial and investment missions as well as provided advice and assistance to interested companies. Allow me to conclude this interview by reaffirming that Mexico is “on the move” and that we would like nothing more than for Switzerland and Swiss companies to be our trusted partners in these transformations so as to benefit from the opportunities that lie ahead for those who have the vision to seize this exciting moment in our bilateral relationship.